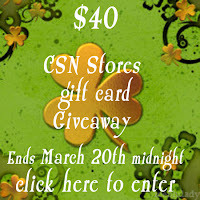 First if you haven't entered yet, don't forget to sign up for the $40 CSN gift card giveaway open until midnight tonight. It does looks like I'm about to break 400 followers and if that happens, there will be 2 winners, one for the gift card and one for a special handmade gift made by yours truly. A lot of ruffles this week, unfortunately you only get a sneak peek today. I also started cutting all my scraps in 5" squares to get started on a I-Spy quilt for my little bug. I've been gathering fabrics for a couple of months and I have now about 50 different swatches but I ended up cutting closer to 90 squares since some could yield more than one. I'm sure I'll find a taker for the extra squares :). I also finished a cute skirt and started on 3 summer dresses (yes 3 - must be Spring fever kicking in) for my little bug and some season appropriate clothes for Princess Fiona. Spring cleaning is now finished in the studio. All my fabrics, notions and other craft supplies are now inventoried and accounted for. Bring it on Spring Stashbust! Two more days before the shopping ban starts. If you haven't signed up yet hurry up ! 31 bloggers already have. A bit of jewelry also came on the menu with this spring fresh necklace, and two more in the works. On the family front, things are going rather well all things considered. My FIL's chemo is going rather smoothly and he's enjoying the quilt very much. As he put it himself, losing all that weight has the benefit of having fit back in the same size clothes he wore when he got married, but the lost padding makes him feel cold a lot more. Yay for a really good idea. Next weekend I'll be out of town for a much anticipated sewing retreat. 3 days of nothing but sewing, in the good company of wonderful friends, and dotted by fabulous meals and a bit of horsing around. No housework, no kids, no hubbies. My 3 days of heaven. sounds like a good, busy week! Wow, enjoy your retreat! Sounds wonderful. I LOVE that lace shirt! Newly GFC following you (found you through the Follow Along Linky). I'm new to blogging and working on redecorating a condo from scattered-still-looks-like-college-hodgepodge-meets-man-cave and changing it into a cohesive home. One little bit of inspiration and small project at a time. My blog has all sorts of things that make me smile plus I'm cataloging my fashion and home decorating inspiration there as well. And once I've got a few before and after pictures, I'll be sharing my projects. 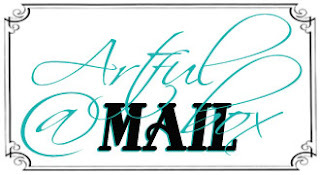 Love your blog--thank you for sharing your projects--I just love bloggyland for all the fabulous inspiration and I definitely try to follow anyone who has similar tastes to me and good projects!